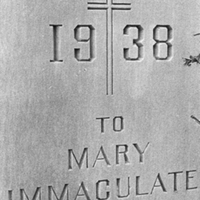 A black and white image of the stained glass window of Mary. 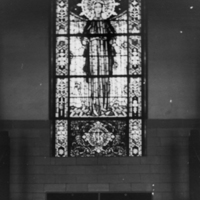 The window currently resides in the chapel at the Mount Notre Dame convent in Cincinnati. 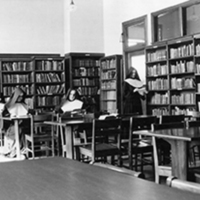 A view of Sisters reading in and using the school library. 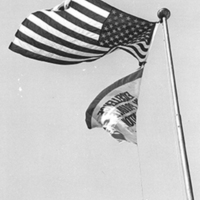 The US flag and the banner signifying excellence in private education. 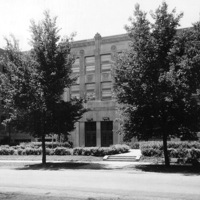 The school was named an Exemplary Private School by the US Department of Education in 1985. 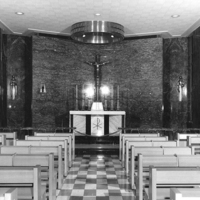 The interior of the renovated chapel at the Notre Dame High School in Chicago. 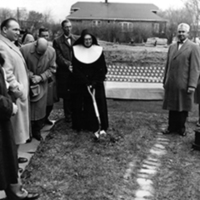 The grounds and property soon to be converted into the new North Wing at the high school and the Sisters' convent. 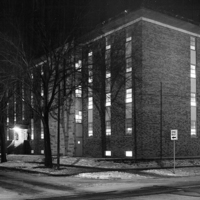 The front entrance of Notre Dame High School after the 1963 construction of a new wing to the school and an addition to be used as the Sisters convent. 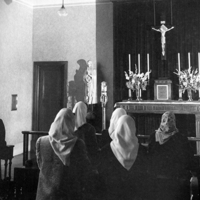 Students at prayer in the school chapel. 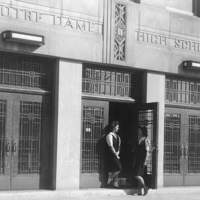 A view of the back side of the dual auditorium and gymnasium at Notre Dame High School in Chicago, IL. 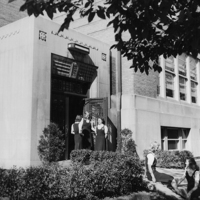 Some of the early sports activities offered by the school were basketball, volleyball, ping pong, and bowling. 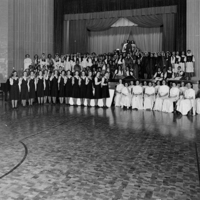 A view of the first Christmas play, "The Light from Heaven," performed at Notre Dame High School in Chicago, IL. 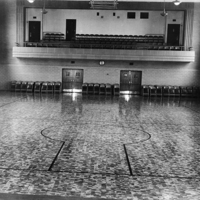 A view of Notre Dame High School's auditorium and gymnasium. 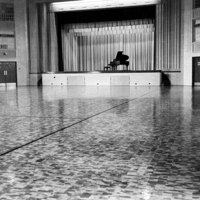 The space was used for plays, recitals, dances, and sports. 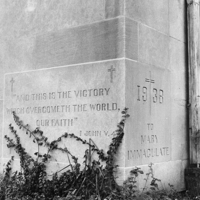 A view of both exterior facing sides of the cornerstone at Notre Dame High School in Chicago, IL. 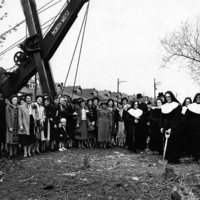 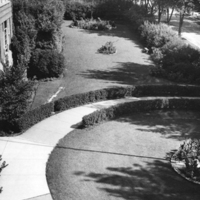 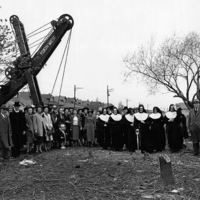 A view of the front yard at Notre Dame High School in Chicago before the 1956 construction of the first addition to the campus. 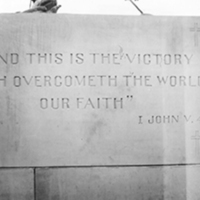 A close-up of the front doors at Notre Dame High School in Chicago, Illinois. 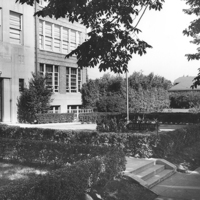 A view of a side entrance to Notre Dame High School in Chicago, IL.